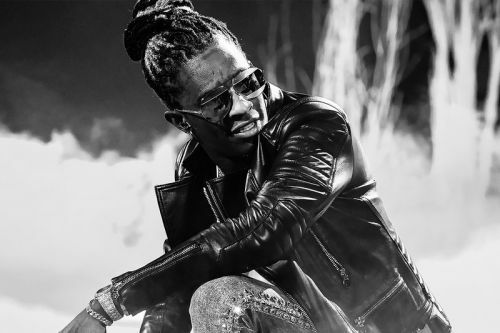 Young Thug was recently arrested for felony gun possession. Following his 27th birthday celebration and Slime Language listening party, the Atlanta native reportedly bumped a police squad car outside of Dave & Buster's in Hollywood which resulted in a vehicle search. A selection of firearms were discovered by authorities - an AK-47 automatic was one of the items found. Since then, Young Thug has emerged back on Instagram with a selfie reading "faster then the officers got off..."